So ok it’s Monday. Noone really likes mondays right? I don’t normally either- until the delivery man drops off boxes of newness! Today we got in some lovely wool bags and some Jonathan Adler but there was one thing in there that rocked my world even more then merch. NEW AWESOME business cards! See what I mean? It really is just the little things that I love the most. We have been out of cards for a few days and I knew they were on order, but lookit- they were redesigned! I think they are so so cool and totally match the direction the shop has taken. 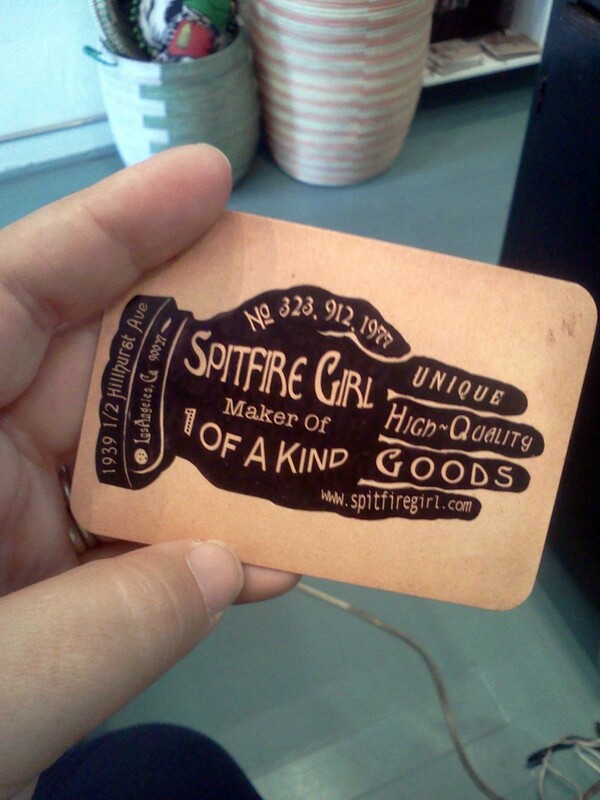 Good job on you Spitfire Girl, good job indeed.